Who somebody is or was we can only know by knowing the story of which he himself is the hero. Every now and again I enjoy sticking a key word in TED Talks search facility, select a talk and open my mind to what the presenter has to say. I guess the experience offers relief from the printed word and allows one to connect with the communicator in a different way. Whatever, listening is the thing, like all good stories. Recently, I particularly enjoyed two talks where presenters shared their belief in and experience of the empowering aspects of community organising. The presenters were Gerardo Calderón and Rabbi Dara Frimmer. A bit on both. … since the very beginning in the family and in schools we are taught that if we want to see change, if we want to foster change, we have to get together with other people, build relationships and act as a family, act as a community. That’s why we don’t really feel the need of superheroes. Dara Frimmer is a Rabbi at Temple Isaiah in Los Angeles. Rabbi Frimmer was recognized in 2014 as the Human Rights Rabbi of the Year by T’ruah, the national Jewish justice organization. The award recognised her leadership at Isaiah, among interfaith communities in Los Angeles, and nationally, on issues of health, environment, education, hunger and human rights. Rabbi Frimmer’s talk poses two questions: Can true change be made by one person? Or does change occur more efficiently when others are involved? For, one of the biggest challenges we face as agents of social change is that we forget to learn people’s stories as we attempt to enlist them in our cause. Frimmer points out that what we care about is deeply connected to who we are, our life experiences, our pain and disappointment as well as our greatest joy. She says that if we can just remember to get at those sorts of stories and share those of our own we are far more likely to create a network of committed people who are ready to bring about social change. For me, the stand out point that Frimmer made is this. Wrestling with this issue – after being just as prone to issuing surveys as we in schools are – the Temple Isaiah community focused on sharing stories and experiences connected to those stories. For example, the struggle to care for ageing parents as well as children. Rabbi Frimmer acknowledges that sharing your story may well be an expression of vulnerability and be completely counter-cultural. She says that If you want to use your story for social change you must exercise calculated vulnerability. This challenges you to consider what you are prepared to share about yourself, who you are and what you care about so that the people listening really understand you and your interests. More importantly, that your story will invite others to share a story as well. Arendt posits that stories connect us to actions, not abstractions. Stories connect people directly with one another with a power that generalities (surveys?) miss. Rabbi Frimmer and the Isaiah Temple community in Los Angeles embraced a sharing and weaving together of community members’ stories. These personal experiences, memories, and motivations solidified the group and drove purposeful action and social change. Personal issues became shared public issues. Exercising of calculated vulnerability led to community organising and action. A community, too, that would recognise the sentiment expressed in the union song. I have an ever growing interest in the question, How can parents and families be involved in schools in ways that benefit both their own empowerment and their children? the issue is compounded by the reality that a general tendency of parents to act as individuals rather than as a group will dilute the impact of family involvement in schools. I offer a coaching service to schools and school leaders on community capacity building. The approach I advocate is one based on relational leadership and lessons drawn from the field of community organising. I begin by listening and seeking to understand both school narrative and community narrative. 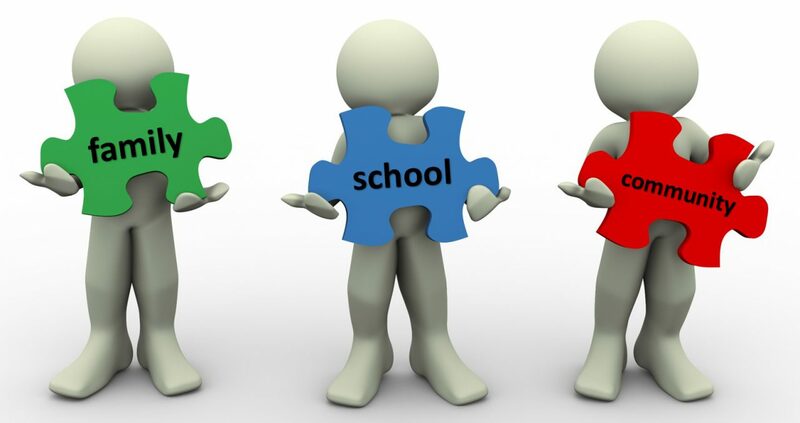 We then work on bringing the two together by designing and embedding a relationship-centred and dialogical problem-solving approach that works for your school community. This process is bonded by the connections between people that are based on values of respect, trust, mutuality, reciprocity and dignity, and which result in conviviality, compassion and cooperation. Collective efficacy and action grow in strength as individuals form groups, groups identify issues and develop projects that recognise and harness the potential in the overlapping spheres of influence in the lives of our young people: family, school and community. We build school community partnership and generate this sort of activism by bringing people together and adopting a number of tried and tested, and impactful, techniques. As an outsider I can bring a fresh perspective to issues. This is particularly useful where the issues are highly charged. In the first instance, my relationship with parents and community is established by directly seeking out their stories. Another thought provoking post Simon. I was talking to my daughter, who is an Occupational Therapist specialising in Dementia care, about this very thing today. People’s stories, and their narrative of their story, are so much a part of them, and understanding them, that we have to take the time to hear and understand these. That narrative becomes embodied in their behaviours, actions and thinking. Understanding this is important in building powerful communities of action, as well,as understanding individuals. There is a danger that we are so ‘busy’ in education, with surveys and data collection, we fail to create the time and the space to hear those narratives properly. So very true, George. Heartening, too, that your daughter has the insight and respect for the personal narratives carried by those in her care. I like too that you highlight the importance of both individual and community narrative. We must listen to both and generate action together.